When you hold an event, are you gathering attendees to arrive at a desired outcome? Is there one conversation you would create, if you could? Parker describes the Christmas dinner host who asked each guest to send pictures of two happy times from the past year. When guests arrived, they found a Christmas tree festooned with decorations featuring those images. The lively “warm-up” to the dinner saw guests animatedly relating the year’s best activities – many of which involved sadness as well as joy. The gathering’s purpose: spend time together reminiscing about the past year’s triumphs. Good event planners know what’s supposed to happen when – starting days before the event and thinking through minute-by-minute tasks during and after the event itself. This level of planning is often critical to a successful event, and Parker reminds us to spend just as much energy preparing our guests for the event. For small business gatherings, she often interviews participants (in writing, by phone, in person) to really understand the issues on the table and to build trust. For conferences or meetings, she may implement event-specific rules when guests come from different cultures and have no shared understanding of event etiquette. 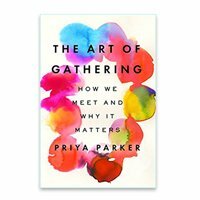 Parker believes the formal opening of an event should overwhelm and welcome – “grip our attention as it soothes our nerves.” She references the political rally that gathers thousands of eager supporters to meet their candidate — only to have the candidate arrive two hours late. Those two hours are still part of the event, so organizers must plan meaningful activity for that time too. Use the opening moments of an event to connect guests, unite attendees in their purpose, create a temporary world that can never be re-created again but will hopefully be referenced by attendees many times. So often, our gatherings just run out of time, and attendees leave with their minds already on the next task. Hold your attendees’ focus even in the waning moments of your event. Plan a closing that affirms the steps you’ve taken and the understandings you’ve reached. Move purposefully out of the meeting atmosphere and back into the “real” world. If you have logisitics to cover (parking, paperwork, thank-yous) do it BEFORE you formally close your event. Claim those last minutes, and recommit to your purpose. If you are planning events professionally or recreationally, step out of your comfortable hosting habits. 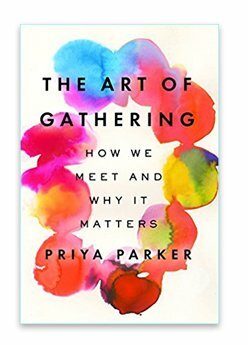 The Art of Gathering graciously challenges us to take better care of our guests and make the most of their attention.